How can I open Folder Options through the Command Prompt? 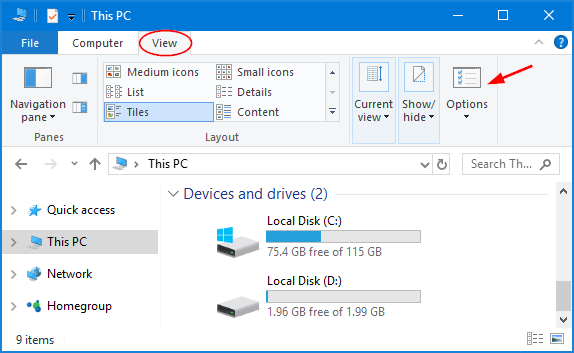 If you want to show hidden files or customize how your files are displayed in Windows Explorer, you have to access Folder Options. 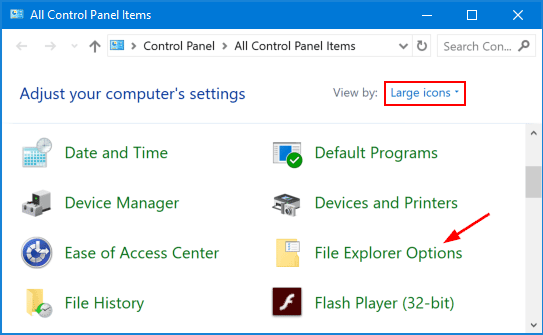 In this tutorial we’ll show you 4 quickest ways to open Folder Options in Windows 10, 8 and 7. Press WIN + E keyboard combination to open Windows Explorer (also known as “File Explorer). Click the View tab, and then click Options in the ribbon. This will open Folder Options dialog. Open the Control Panel. Change the View by option to Large icons or Small icons. 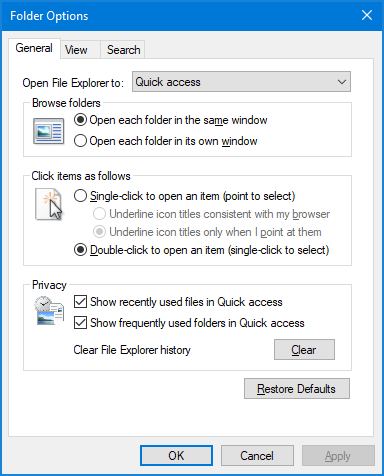 Click File Explorer Options to open Folder Options. Press the WIN + R keys together to open the Run command box, and then type control.exe folders and press Enter to access Folder Options. 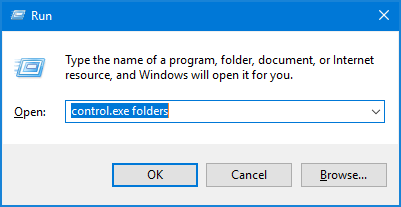 If you’re at Command Prompt, type control.exe folders and you can also access Folder Options quickly. If you’re running Windows 10/8, type folder options into the Cortana Search box on the taskbar. 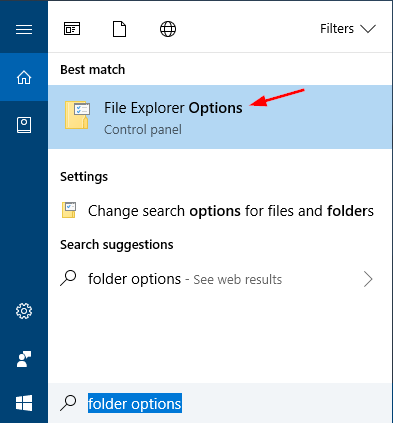 Click on File Explorer Options from the result. 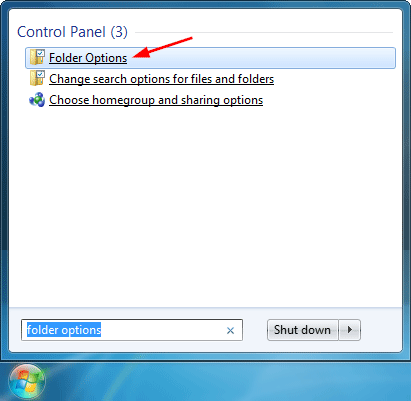 If you’re running Windows 7, click the Start button and type folder options into the search box, then click Folder Options.